Reports in the German (Bild) and Italian (Il Corriere Dello Sport) press today are linking Tottenham with a summer move for out-of-favour Lazio midfielder Thomas ‘The Hammer’ Hitzlsperger. 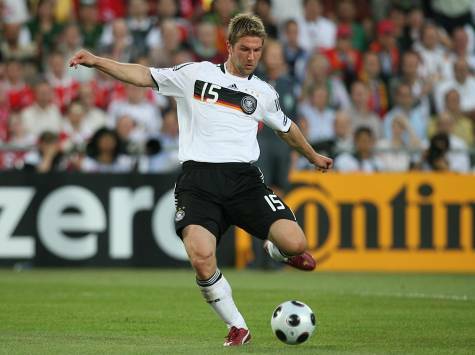 Hitzlsperger joined Lazio from Stuttgart during the January transfer window but has found first team oppurtunities hard to come by in Rome, and rumours are now circulating that Spurs have already agreed a deal to sign the 27-year-old German on a free transfer at the end of the season. Tottenham currently have a plethora of midfield talent (and have only just completed a deal to bring Internacional’s holding man Sandro to White Hart Lane in the summer) but it seems manager Harry Redknapp may not yet be finished adding to his already abundant ranks.